$31 ,000 for failing to control their crowd during last month ’s World Cup qualifier against Cameroon in Uyo. It will be recall that the team won the encounter 4-0 to maintain their top spot on the table before picking a point in the reverse fixture in Yaounde after playing a 1-1 draw. The last time Nigeria was fine by the Confederation of African Football (CAF) for allowing for overcrowding at the Ahmadu Bello Stadium in Kaduna during a 2017 Africa Cup of Nations qualifying match against Egypt. 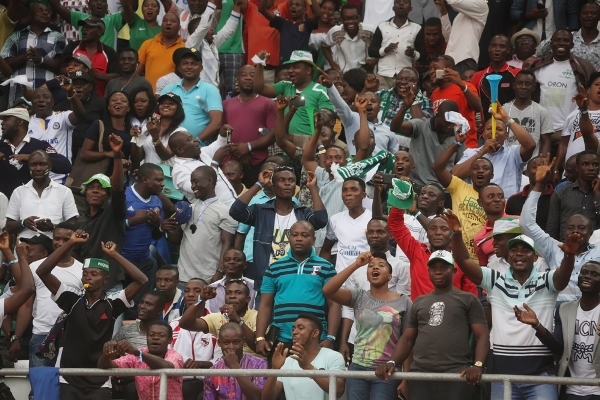 With the Super Eagles set to face the Chipolopolo of Zambia on Saturday in a 2018 World Cup qualifier in Uyo, it is expected the Nigeria Football Federarion ensure a proper conduct of crowd should Nigeria eventually beat their visitor on Saturday.